The Conservative Political Action Conference (CPAC) is the premiere event for conservative political activists each year, drawing a litany of prominent Republicans to talk about a variety of issues of interest to conservatives in America. A lot of the most public speeches at CPAC are aimed at promoting candidates (especially for the upcoming 2016 presidential election) and arguing against liberal policies, but there is also plenty of debate on issues that divide conservatives as well. The debate was expected to include two sides: Andy Abboud, Vice President of Government Relations for the Las Vegas Sands, was to take the anti-gambling side, while Poker Players Alliance (PPA) Executive Director John Pappas was to stand up for online gaming. There was only one problem: Abboud never showed. Neither did anyone else from Sheldon Adelson’s Coalition to Stop Internet Gambling (CSIG), meaning that there was nobody there for Pappas to debate, leading to a complete non-event for attendees. Pappas quickly bounced on the no-show to make a point about his opponents on this issue. I was looking forward to an open and fair debate on the future of online gaming, and not just because the facts are on our side. 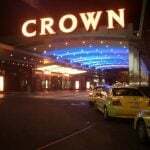 RAWA, which was recently reintroduced to the House of Representatives by Representative Jason Chaffetz (R-Utah), would essentially ban online gambling across the United States by rewording the Wire Act to make it apply to most form of Internet betting. That could not only stop the expansion of state-by-state Internet poker and casino games, but could force the three states that have already regulated the industry (Nevada, New Jersey and Delaware) to end their operations. 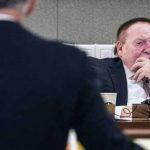 The bill has been strongly supported by Adelson, who is a prominent Republican donor. 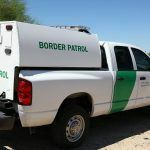 However, more libertarian members of the Republican caucus have states’ rights issues with the bill, and it’s unclear how much support RAWA has on the Democratic side of the aisle. RAWA supporters have had chances to defend their position in the past, and will again in the future. 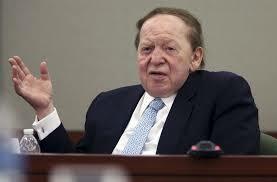 Previous debates have featured Abboud articulating Adelson’s position on the issue, though they haven’t come without gaffes, such as referring to the PPA’s Twitter followers as “creepy.” Meanwhile, RAWA is expected to receive a House subcommittee hearing later this week, though the witness list may well be stacked with opponents of Internet gambling. For Pappas, the fact that CSIG didn’t show up for a more open debate at CPAC was telling. “The fact that the primary RAWA supporters refused to join this debate, after significant effort by the organizers, tells me that they want their bill rubberstamped instead of openly debated on the merits…a basic tenet of democracy,” he said.